The team’s fourth album in as many years is undoubtedly their most technically assured. It was also the most elaborately packaged. The original pressings featured a sturdy outer sleeve and a pull out inner sleeve with liner notes and the eye-catching, brashly colourful illustration of the tie and handkerchief itself. This was, quite naturally, visible through the cut-out in the outer sleeve. However, once pulled out one saw that the tie and handkerchief were actually tied around the neck of a poor chap swinging on the gallows. There was also an additional green insert showing the, now deceased, chap having his tie and handkerchief inspected by an on-looker. The credits for the recording and some helpful background information on Mediaeval farming were also included. And all this before you even played the record. It was the unmistakable work of Terry Gilliam and is arguably his most ambitious and satisfying of all the Python cover designs. The actual recorded material was a tad more ambitious than before too. There was far less reliance on television sketches for one thing. Although several familiar favourites from series three are in, including the Church Police, Oscar Wilde and the ultimate in sustained list comedy, the Cheese Emporium. There’s even a throwback to series two with the boozy Australians, all called Bruce. The classic song, much performed by the team on stage over the years, was an extension from the television original and was written and recorded especially for the album. The record was recorded in Andre Jacquemin’s parents’ back garden, in their shed. Michael Palin has fond memories of the bespoke studio: “I have this wonderful image in my head of all of us cramped into this shed in Finchley and John Cleese sat on a stone outside in the ornamental garden, with a cup of tea in one hand and a slice of Andre’s Mum’s homemade lemon drizzle cake in the other. He would sit there just waiting for us to call him in to do a silly voice. Then he would go back to his tea and cake". “As a group we trusted one another to take control over a particular project, be it book, film or record,” says John. “I didn’t tend to get involved in the organisation side of things. I was more than happy to turn up, record my bits and go home". 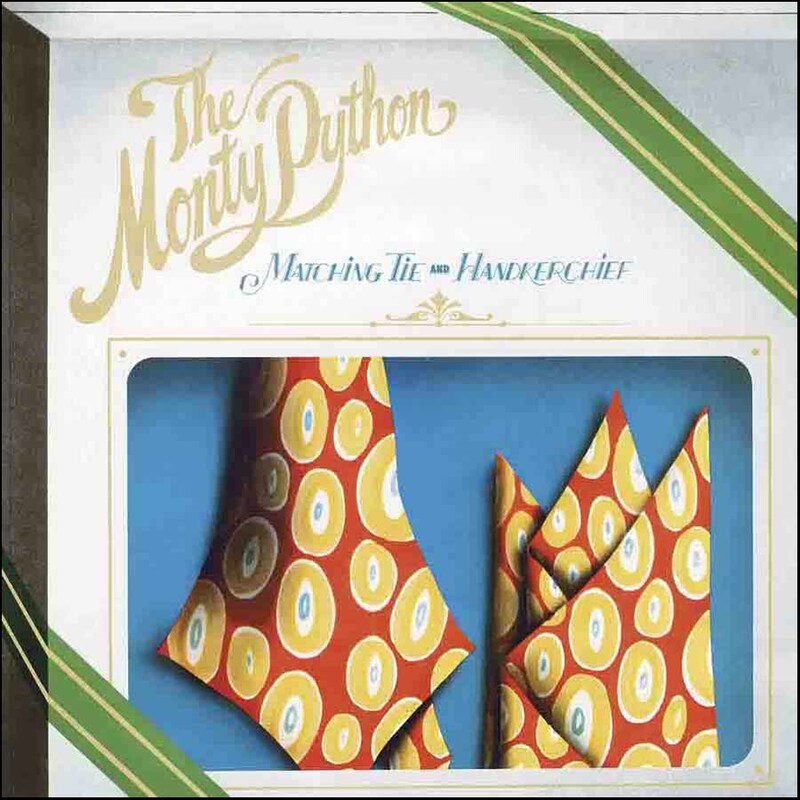 The designated Python for ‘Monty Python’s Matching Tie and Handkerchief’ was Terry Gilliam. Andre Jacquemin vividly recalls those halcyon days of September 1973. “Terry and I would be listening back to tracks and making edits, while my writing partner, Dave Howman, would be helping put effects together. We would be working late into the night. From the ridiculous to the sublime, it was at Abbey Road Studios that the major technical breakthrough was achieved. “We were cutting the album there,” Andre Jacquemin remembers. 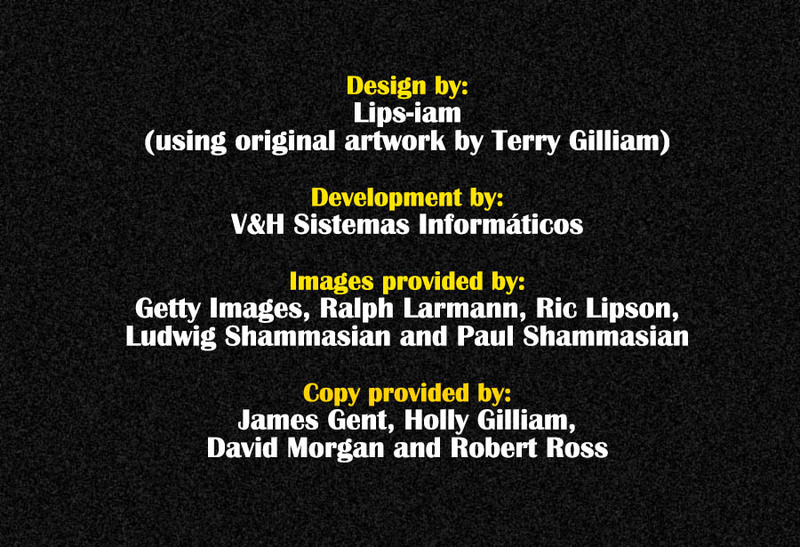 “Our recording engineer was George Peckham. He had been there for years and had worked on all the Beatles albums. Quite simply, he was the best. Together, we finally succeeded in making two grooves on one side of the record work". The ambitious attempt at running three separate concurrent grooves had defeated them during the making of ‘Monty Python’s Previous Record’, but now Andre had found the solution. “The only way that it could be achieved was by making each groove’s running time slightly shorter. We had to settle with just two grooves but that way they wouldn’t run into each other toward the centre of the record". As a result each groove lasted about eight minutes. Some customers complained that one side of the album was a con, lasting half the length of the other side! To add to the confusion, each side was labeled Side 2. “We were delighted with it”, remembers Terry Jones. “In theory you could play that side four, five, six times and always hit the same groove. Then, one day, you’d play it and it would be something completely different, to coin a phrase!" Michael Palin adds: “We had these visions of stoned fans, of which there were a lot in the early '70s, having the shock of their lives when brand new material was playing on a record they had had for months. Some people thought there was an alternative version because they would hear talk of these mysterious sketches that they had never heard on their record. It drove people mad. This was precisely why we did it, of course". It was the first commercial long-playing record ever to do it and it wasn’t easy. For full listening pleasure, the alternative groove starts with John Cleese’s molly-coddled Minister for Overseas Development and his encounter with that nice Mrs. Niggerbaiter. Another invaluable selection of sketches recorded during the 1980 sessions for ‘Monty Python’s Contractual Obligation Album’. Psychopath pits Graham Chapman and John Cleese as beleaguered victim and moronic thug, while Radio Shop features the slightly mad Graham haranguing assistant Terry Jones. Due to the limited space of a long-playing record and the team’s preference for focusing on comedy songs for the album, both sketches were dropped. There wasn’t even a place for Michael Palin’s flustered sports commentator desperately battling with a temperamental Teleprompter: "Not a result, it’s a thought!"